Brewer Oil Company is proud to let our customers know that we are a Certified Power Service Xtreme Diesel Distributor. The standards are high to attain this certification and it is yet another way to demonstrate to our customers that we are providing the highest quality of fuel. 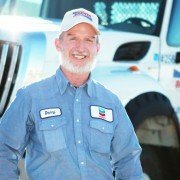 Brewer Oil Company is looking for a CDL Truck Driver in Artesia, NM. This position is responsible for the transport of hazardous petroleum fuel materials to customers and for providing exceptional customer service. 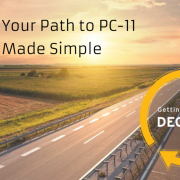 PC-11 or Proposed Category 11 is the working title for the new API category of heavy duty engine oils in development to be available December 1, 2016. 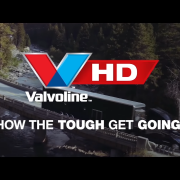 The next generation of heavy duty engine oils will surpass the performance of the current category of heavy duty engine oils. API-CJ4— offering better fuel economy along with superb engine protection against wear, oxidation and deposit buildup. Modern heavy equipment engines require new oils to be more resistant to oxidation. PC-11 oils will be formulated to address this requirement. Anyone who owns a piece of equipment or truck for work should be aware of the Proposed Category 11 (PC-11) next generation of heavy-duty diesel engine oils. PC-11 has been in the works for at least four years with the new oils set to be commercially available in December 2016. Recently, the ASTM Heavy Duty Engine Oil Classification Panel (HDEOCP) approved the PC-11 specifications with the American Petroleum Institute (API) expected to approve in the coming weeks. So what does that mean, and how does it affect the construction industry? Oil specifications have to be established one year prior to the oils being commercially available. The recent specification approval means the new engine oil category is keeping pace with the deadline set by engine manufacturers to have the new oils available in late 2016 for use with 2017 model year vehicles and equipment. 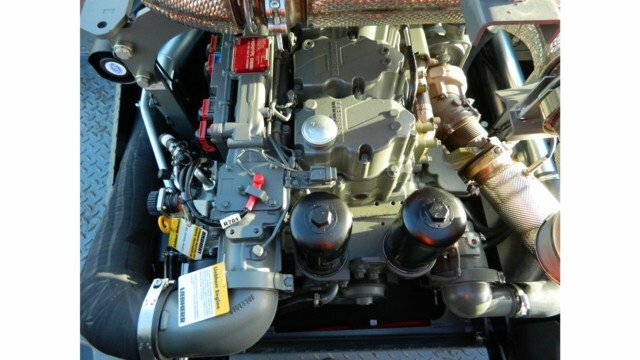 “The split specification concept allows for this new category to be broadly applicable for use in a wide variety of heavy-duty diesel engines, regardless of whether those engines are used in on-highway trucks or in off-highway equipment,” Whitacre says. The subcategory CK-4 builds on the previous API CJ-4 category. The CK-4 oils will offer improved oxidation stability, aeration control and resistance to viscosity loss by shear, Whitacre says. CK-4 oils, which will be approved for use in many of the same engines and applications that currently recommend CJ-4, will be available in the same viscosity grades consumers are using today and will also be “backwards compatible” with the CJ-4 oils. 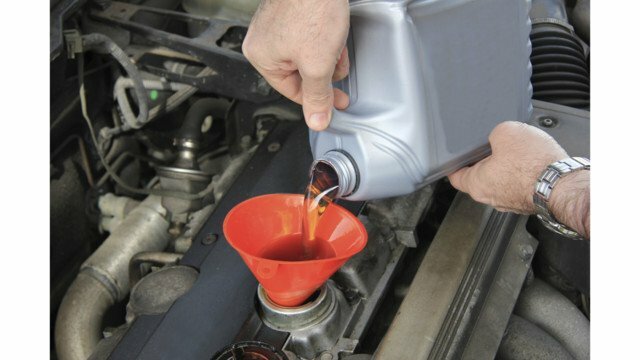 The API FA-4 subcategory will adopt the same performance requirements as the CK-4 oils but will be at a lower viscosity level compared to today’s oils, Whitacre says. These thinner oils can offer more optimized fuel economy for newer engines designed to use lower viscosity oils. The off-highway market will likely not use the FA-4 oils much. According to Whitacre, these oils are designed more for diesel pickup trucks and on-highway trucks. Contractors who do have Class 8 road trucks, medium-duty or diesel pickup trucks in their fleets may see a use for the FA-4 oils. A major priority for the PC-11 oils was they be able to stand up to elevated temperatures for longer periods of time without breaking down. New engines are placing greater demands on engine oils, and engine makers continue to push for longer oil change intervals, requiring the new oils to be more resistant to oxidation, Whitacre says. These new oils provide consumers with the latest advancements in wear protection and viscosity control. Contractors who continue to use oils that do not meet the new engine demands and requirements may compromise the ability to achieve maximum OEM-published oil drain intervals, Whitacre adds. While it’s not recommended contractors continue to use the older CJ-4 oils in newer engines starting with the 2017 models, using the new CK-4 oils in older engines is possible. The CK-4 oils are backwards compatible to the previous API categories and will have no adverse effect in older equipment, Whitacre says. However, he cautions that contractors should check with their OEM recommendations for viscosity grades. The FA-4 oils will not be as backwards compatible as the CK-4 oils. From a specification standpoint, FA-4 is not backwards compatible. “The older category had a viscosity limit that excludes the range that the new category encompasses, so you can’t meet that new FA-4 spec and claim the older spec because the viscosity ranges are mutually exclusive,” Whitacre says. 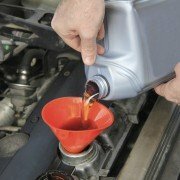 “We expect OEMs to publish more specific guidance as to the limitations (or restrictions) associated with these lower viscosity oils in 2016, before they hit the market,” Whitacre adds. Whitacre says that 2016 will be a busy year for oil and additive manufacturers as the industry is entering the home stretch for PC-11. However, he says it’s important to remember that while all this work, testing and transitioning will be continuing over the next year, these oils will not be commercially available until December 2016. It has been 10 years since the last new engine oil category was introduced. While the industry was averaging a new oil category nearly every four years prior to that, Whitacre says he expects the CK-4 and FA-4 oils will be relevant for a while with no new oil category currently on the horizon. However, improvements in technology and continuing greenhouse gas regulations may ripple into the oils and lube market. While it’s too hard to speculate at this point, new developments in an ever changing industry may at some point trigger discussions on the next future engine oil category. Spend the time preparing for the new oils debut in 2016. Understand what the new engine oil category means for your equipment and for your company’s oil – and maybe even equipment – buying process. Chase ScholarsThe Chase Foundation pursues this vision through positive community initiatives, resources, and the collaborative efforts of partnering organizations. The foundation invests in lasting change to improve the lives of our fellow citizens and the future of our communities. The foundation is deeply committed to the importance of partnerships and community participation to strengthen the success of the program. Most of all the Chase Family is convinced that each of us can make a difference in shaping lives in a positive way through community involvement, quality education programs and the desire to build strong communities through innovative approaches. Visit the Chase Foundation Website and learn more. Visit this link and take a stroll through 140 years of innovations. Brewer Oil Company is putting New Mexicans back to work. An announcement ran by US bank on the following radio stations – 92.3 KRST FM, 99.5 KMGA Magic FM and KOB 770 AM. [panel title=”Q. How does an SCR system work?”]A. The purpose of the SCR system is to reduce levels of NOx (oxides of nitrogen emitted from engines) that are harmful to our health and the environment. SCR is the aftertreatment technology that treats exhaust gas downstream of the engine. Small quantities of diesel exhaust fluid (DEF) are injected into the exhaust upstream of a catalyst, where it vaporizes and decomposes to form ammonia and carbon dioxide. The ammonia (NH3) is the desired product which in conjunction to the SCR catalyst, converts the NOx to harmless nitrogen (N2) and water (H2O). [panel title=”Q. How can I determine when the DEF I have purchased was manufactured?”]A. All DEF packages will have a date code located somewhere on the product. The date code will allow you determine the date the DEF was made. 1 gallon containers will have a laser code imprinted on the bottle. 2.5 and 5 gallon containers have a small date code label applied to the bottle. Drum and totes will have a label applied to either the top or side of the product. The first digit of the date code represents the DEF batch number and the next 6 digits reflect the date that the batch was filled. [panel title=”Q. What happens if I inhale DEF?”]A. While pumping DEF will not cause significant exposure, inhalation may occur if exposed to DEF in a closed area and/ of if DEF is misted into the air. Under normal conditions of use, harmful effects are not expected. [panel title=”Q. How can an operator determine how much DEF they will need/use?”]A. DEF consumption will be approximately 2% of the diesel fuel consumed. Another way to consider it is that DEF will be consumed on a 50 to 1 ratio with diesel. (For every 50 gallons of diesel fuel burned, you will use 1 gallon of DEF). If you know the average fuel consumption of a vehicle, you can easily calculate the amount of DEF that will be used. A. The 330 gallon tote is a returnable tote. Empty tote returns should be made to the tote vendor rather than Cummins Filtration. For information on returning totes, please call 1- 800-608-8587. The 275 gallon tote is disposable and primarily used for refilling of the larger plastic refillable tote. However, if customers do utilize the 275 gallon tote the transfer equipment must be DEF compatible and completely free of contaminants. Stainless steel and high density polyethylene plastic are DEF compatible materials. For a complete list of DEF compatible materials, see ISO22241. If required, the DEF dispensing equipment can be utilized with the 275 gallon tote when the dispensing equipment is supported by an appropriate structure. A. There is no EHC applied to DEF at this time. To find your nearest retailer of Fleetguard products, visit cumminsfiltration.com/wrl.